Launching Netwookie's app on Android and helping informal service workers in Nairobi grow their businesses. Boda bodas are a popular form of transportation in Kenya and make up a large part of the informal economy.Screenshots of Netwookie. 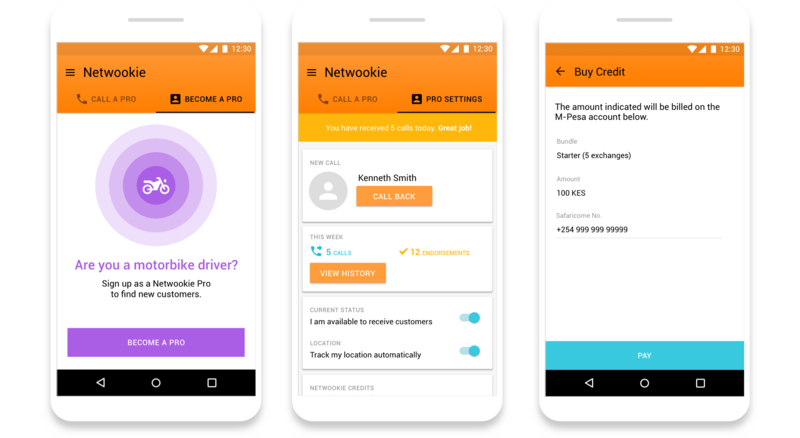 Netwookie aims to digitise word-of-mouth referrals across Africa to create better work opportunities for individuals employed in the informal sector (taxi drivers, cooks, cleaners, etc.). In Kenya alone, the informal economy is 77% of the total labour force, equivalent to 11.8 million people, and makes up 40% of the countries GDP. 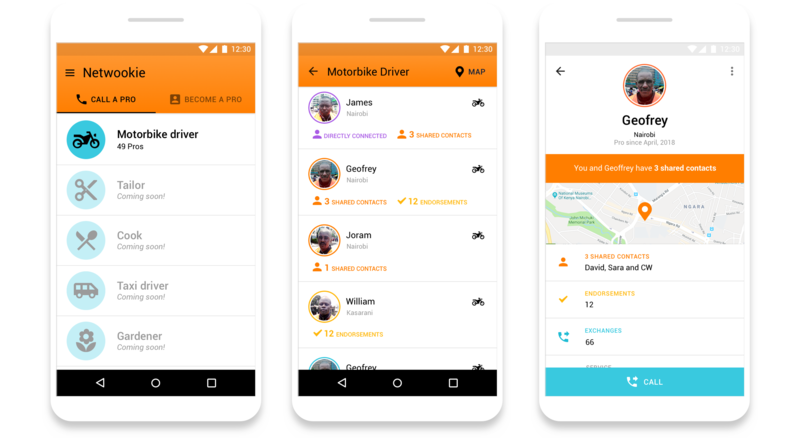 For their launch, Netwookie chose to focus on boda boda (motorbike) drivers in Nairobi and needed to translate their core value proposition into an Android app that could be implemented with limited resources and adopted by both boda boda drivers and their customers. 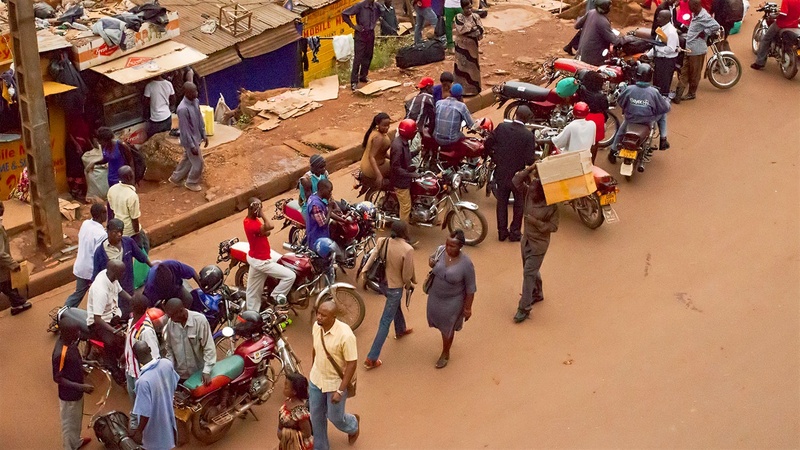 We designed the app to help users find trustworthy boda boda drivers using Netwookie’s cloud based matching algorithm while creating an architecture that could easily scale to accommodate other types of services such as home repair, tailoring and cooking. Because Netwookie’s value proposition (match customers/providers based on a trust ranking) and business model (charging a fee per connection) are unlike anything else on the market in Kenya, we designed the user experience in a way that helps users construct a mental model as they interact with the app, as opposed to relying on content during onboarding. We also designed the app for two seperate groups of users, customers and providers, without creating siloed experiences so that Netwookie can convert customers to become service providers. 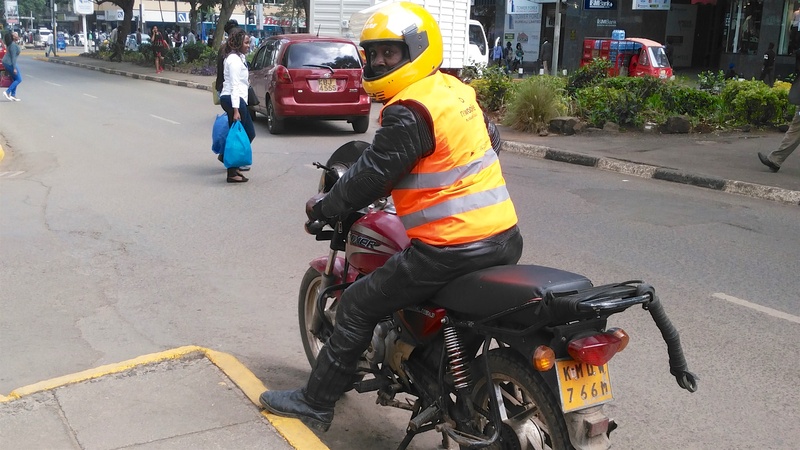 Netwookie tested their app with boda boda drivers in Nairobi. With the MVP built, Netwookie wanted to identify and prioritize which fixes it should make to ensure they had a useable and desirable product before going to market 2 months later. To do this, Netwookie’s marketing team conducted a round of usability testing and in-depth interviews with boda boda drivers and customers. I supported Netwookie by facilitating their team through the process of creating research protocols, recruitment plans, interview guides, participatory activities, and synthesis tools. Based on the findings from their research team, we were able to identify critical usability issues that needed to be addressed and create a roadmap for improvements to the user experience. I led UX on Netwookie's first product and worked alongside a contract visual designer and contract Android developer.